Childhood asthma is a breathing problem of toddlers and adolescents in which the immune system overreacts to certain pollutants in the air or food. As a result, the lungs swell and block air into the body. Childhood asthma is a health condition that every parent should know about. It is a disease that troubles many young people worldwide. There are more occurrences of this disease today than in years past. It is the number one chronic illness in children and can be dangerous for your child. Although the disease cannot be cured, it can be controlled with asthma management. Knowledge about asthma is the key to controlling your child’s symptoms. If you understand the treatment options and develop a management plan to combat it ... then you have the insight to keep it under control. Childhood asthma is the leading cause of emergency room visits, hospitalizations, and missed school days.Children with this condition tend to have less energy and avoid physical activities that require increased breathing. If it is not managed properly, this illness can result to other problems that can be detrimental to a young toddler or developing adolescent. Many children start to show symptoms of asthma around the age of five. Asthma basically is a respiratory condition in which the immune system overreacts to certain pollutants or allergen. The airways of the lungs swell and constrict air flow into the body. Although many kids with asthma can breathe normally between asthma attacks, they should be monitored for any problems during strenuous activities. It is more evident during physical activities such as sports or dance recitals. If this should happen, your child may experience the classic symptoms or feel short of breathe only when playing. The one good thing about asthma is that it can be controlled. Once diagnosed, asthma can be managed with ongoing education and treatment. Thankfully, no matter the level of wheezing and coughing, there are medications and treatment plans that can help your child to breathe better. The desired goals of treatment are to decrease symptoms, reduce flare-ups, increase physical activity, and have little to no side effects from medication. If your child has asthma, you can minimize symptoms with the help of your doctor, caregivers and school staff members. With the right support, it does not have to disturb the quality of your child’s health. Childhood asthma can be managed properly if you know the key points to watch for. Depending on the type of asthma, some may exhibit all symptoms while others may only display one. Wheezing – Wheezing is a low whistling noise that may happen when a child struggles to take in air. It happens when the lungs are swollen and air has to pass through a narrow passageway. Not every wheezing incident is necessarily caused by asthma. Infections from bronchitis or other respiratory problems sometimes mimic asthma symptoms, making it difficult to know the underlying cause. Coughing – Chronic coughing is an indication that the lungs are irritated. Eventually the aggravated lungs will become exhausted and not function properly. And this is when breathing problems occur. While the occasional cough from a cold is not worrisome, a chronic cough that last more than a week should be examined. Chest Tightness – While a child usually cannot verbalize this condition, he or she may complaint that the chest hurts or he or she cannot catch a breath. This will result in decreased activity or an inability to run or play. Asthma is a disease that shows itself in stages. Advanced symptoms may include trouble sleeping due to the decreased oxygen intake, coughing that worsens when the child has a cold or the flu, and trouble eating. Another common sign of childhood asthma is the inability to bounce back quickly after an illness. Children with this condition tend to take longer to recover from an illness, often ending up with a respiratory infection as well. 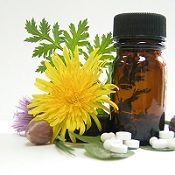 They also may develop inflamed sinus, chronic stuffy or runny nose. The more dangerous signs are the ones that can endanger your child. They include deep and rapid breathing, decreased alertness (or lethargy) and cyanosis (a bluish coloring of the skin due to lack of oxygen). This is an emergency situation and warrants a visit to the emergency. If your child shows any of these symptoms then he or she should be immediately examined by a doctor. This is an emergency situation and requires immediate treatment. Breathing is an important part of life and any problem with it is critical. But thankfully the staff in an emergency room has the knowledge to treat severe asthmatic episodes in children. 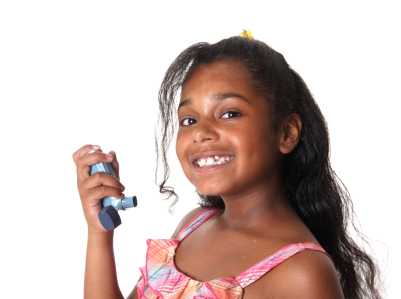 When a child has a family history of asthma, then there is a higher risk of him acquiring it. 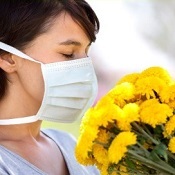 Certain allergies and environmental factors such as smoke increase the chance of having it. But the good news is that it is not automatically transferred from a parent to a child. If you or a member of your family has this breathing problem, you will have to monitor your child closely. 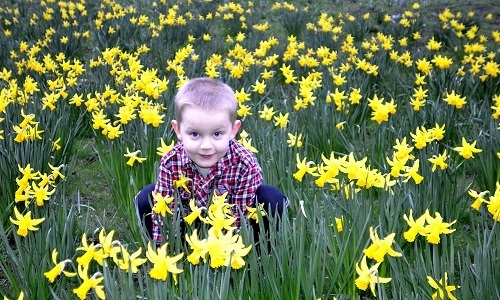 It may show while your child is running or playing or with the change of seasons. 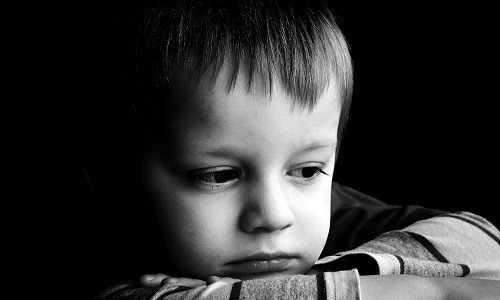 Triggers, just like signs and symptoms, vary from one child to the next. Asthma is a condition that is frequently triggered by environmental factors. Some allergens such as pollen are also known to trigger an asthma attack. Childhood asthma is an illness that requires daily monitoring. It can lead to a life-threatening situation if it is not monitored carefully. The important thing to prevent episodes is to avoid triggers that can bring upon attacks. If an attack should happen, there are many medications that your doctor may prescribe to keep your child symptom-free. Make sure that your child takes thesm as prescribed. They also work on a daily basis to prevent future attacks. Cold air or weather changes tend to trigger reactions because it fills the lungs with air that your child’s immune system may response to. Spring and winter can be particular difficult. As a parent, you should watch carefully for changes in your child’s condition. Everyday you should take a mental note or keep a physical asthma journal about your child's condition. 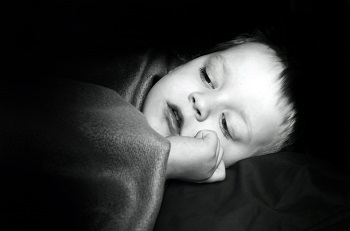 Your child may not sleep well on nights that he or she has breathing difficulties. This problem may spill over into the daytime, in the form of fatigue and tiredness. And this lack of proper rest can affect school performance. If your child wheezes or coughs after childcare, this may be an indication that something at school or daycare is making your child sick. It might be pollutants in the air, such as mold or chemicals, which are setting off your child’s attacks. You should talk to your child care provider to determine if the pollutants can be removed. Watch for dangerous situations. If your child start to struggle to breathe, call for help. 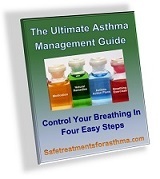 It is very easy for asthma to start with cough and advance to a more severe condition. If an attack gets too bad, you may not have the medication at home to treat it quickly. Do not hesitate because breathing is a critical situation and requires immediate care. Childhood asthma does not have to be scary. It can be managed properly if you know the key points to watch for and how to monitor your child’s condition. It is frightening when a child is in distress and a parent does not know what to do. So it better to know before an emergency happens. Asthma is a difficult disease to diagnose and treat. Since there is no one test to uncover it, diagnosis is done over time and under close supervision from an experienced doctor. Since asthma is hard to diagnose in the very young, you may need several visits. Your child can only be diagnosed after a complete medical history, physical examination and other pulmonary tests. 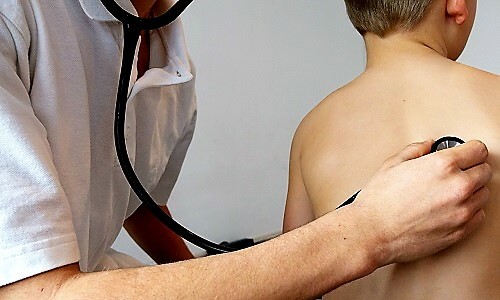 Medical treatment is prescribed according to the age of the child and the severity of the symptoms. It will most likely involve more than one kind of medication. Long-term, preventative medication helps to reduce inflammation and keep this condition under control. They are usually prescribed as a daily medication. When flare-ups occur, your child may need oral corticosteroids and quick acting inhalers to reduce swelling immediately. Inhaled medications come as inhalers (sometimes called pumps), nebulizer solutions (delivered as a mist by a machine) and dry powder inhalers. If asthma is a problem for your child, an asthma action plan may be the best thing for your child. It lists your child’s triggers, medications, and emergency contacts will be necessary. These instructions will vary dependent upon the child's symptoms and will be useful in a time of an emergency. Proper management will be adjusted to be more aggressive when needed and less aggressive when fewer symptoms are displayed. Childhood asthma is an illness that requires daily monitoring, especially for toddlers. Peak flow meters are a small device that your child can use to monitor symptoms. Daily use of a peak flow meter can help to tell you when your child’s lungs are irritated. Measurements show how well the lungs are functioning. You can have your child take this test every morning to find out if there are any potential problems. In older children, it is good way for you, as a parent, to tell if a treatment is working. If the reading drops more than 25%, it is a good time to call the pediatrician. Any breathing problems should be taken seriously and evaluated. If your child has the following symptoms, then you should take him or her to your pediatrician. 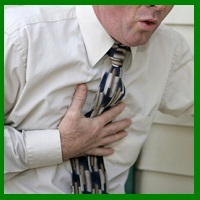 Any signs of respiratory distress or intense period of breathing problems require emergency care. Childhood asthma can be very troubling for a young person. This is a lifelong commitment that has to be managed carefully. It is a chronic illness that requires regular maintenance for your child to stay healthy. If you want your child to remain symptom-free, then you will need to have the proper equipment so you are prepared for any situation. The best way to control childhood asthma is for you as a parent is to learn what causes it, how to prevent it and the effective ways to treat it. This will teach you everything that you need to know to prevent your child’s symptoms. Holding Chamber – This device attaches to an inhaler to bring more asthma medication directly to the lungs. The chamber extends the inhaler and reduces the amount of medication that is lost into the air. Peak Flow Meter - These simple devices are hand-held, extremely easy to use. With diligent use, you can recognize an oncoming attack. Each morning you can use your peak flow meter to measure the amount of air getting in and out of your lungs. Pulse Oximeter – This little instrument fits over your finger and can tell if your child is getting enough oxygen. When you are feeling out of breath, this is one of best ways to tell if you are in serious trouble. It usually displays oxygen level and pulse rate and can show if your condition is getting worse. Air Purifier – If you put one in your child’s room, it can dramatically decrease asthma symptoms. 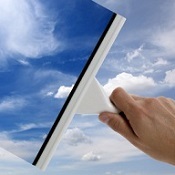 The main functions of these devices are to clear away allergens and to maintain good air quality. Austin Air Baby’s Breath Air Cleaner offers the highest level of protection from airborne contaminants like dust, pollen, and toxic chemicals ensuring your child receives the cleanest air necessary for proper growth and development. Allergen Bedding and Dust Mite Covers – They do not hold onto bed bugs or dust mites. Natural Organic Cotton Sheet Sets are free from chemicals, dyes, resins, finishes and bleaches. These organic cotton sheet sets are the perfect choice for anyone who suffer from childhood asthma. Since there are no chemicals, dyes, or finishes, organic cotton sheet sets are a need for any child with an asthma condition. Allergy Pillows are designed for people suffering from asthma, eczema and other dust related allergies. These comfortable allergy pillows are covered with Pristine allergy fabric, a soft, woven, dust mite-proof fabric. They are filled with polyester fabric that is non-allergenic, odorless, resilient and lightweight. 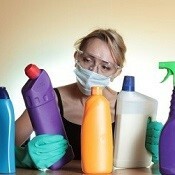 Allergy Cleaners - Using cleaning supplies that are hypo-allergic and odor-free. Keeping furniture dust-free and vacuum rugs limit your child’s exposure to allergens. 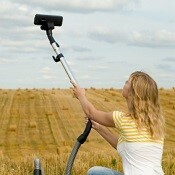 Allergy cleaners remove this dangerous allergens at the first sight. Demite Spray de-activates dust mite, pet dander, pollen, and other allergens that cause childhood asthma. ADS spray is medically proven as highly effective for breaking down these allergens into harmless materials. ADS spray can be used on upholstered furniture, draperies and rugs in your baby's room. 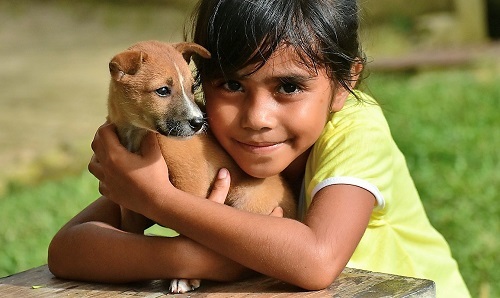 Pet allergen control products-it that can remove pet dander so your home stays allergen free. Asthma is a serious medical condition that should be closely monitored by a doctor. Keep a list so that you can discuss it with your doctor. By using the right methods, you can prevent many of the symptoms that bother your child. Just by adjusting your child’s environment, you can stop symptoms before they happen. The ability to tell when there is a problem and early intervention enables your child to live a happy, normal life. Avoiding triggers, using medications, and keeping an eye on daily asthma symptoms are the ways to control asthma in children of all ages. Children with asthma should always be kept away from all sources of smoke. Knowledge about asthma is the key to controlling your child’s symptoms. If you understand treatment options and develop a management plan, then you have the insight to keep it under control. By using some of the right asthma products, you can develop an asthma action plan to control the symptoms. It should include air cleaners and allergy control products to remove harmful allergens, allergy bedding that won’t introduce chemicals into your child's environment, and a nebulizer system to immediately treat symptoms. Although it may seem troublesome at first, asthma is a treatable disease. While it cannot be cured, there are treatments that your child can use to keep it under control.